German jr middle prospect "Golden" Jack Culcay moved to 9-0 this past weekend in Herning, Denmark, with a ten round unanimous decision over Dee Mitchell. Culcay have previously been promoted by Universum, but was then announced to have been signed up by SES - but Universum still claimed promotional rights to the fighter. 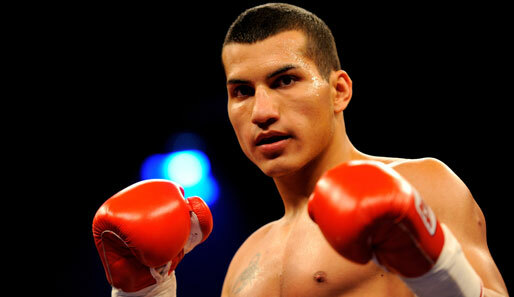 The show in Herning was promoted by Team Sauerland but Culcay is not signed up by them. Jack is managed by Moritz Klatten and appears to be a freelancer. Swedish promotional outfit Pugnus Boxíng Promotion will according to local media close their business. Pugnus have promoted an annual show in Karlstad since 2007 but was never able to make a profit. Promoter Anders Holmberg also have a big affection - not really shared by the fans - for aging veterans such as Ray Mercer, Al Cole. Robert Daniels and others. Pugnus never tried to build fighters up but settled for their annual promotion and will now close the doors. The Joaquin Cespedes vs Ali Hallab fight for the vacant EU superbantam title that was planned for September 24 in Madrid, Spain, is now postponed or even cancelled. Leonard Bundu vs Daniele Petrucci will do their rematch for the vacant EBU welterweight title November 5 in Firenze. Their first fight - described by some as the biggest domestic fight in the last 40 years - ended in a technical draw with both teams arguing that their man was ahead. Spanish cruiser David Quinonero, 25-0, defends the WBC silver title in Palma de Mallorca September 17 against former EBU lightheavy champ Yuri Barashian. Quinonero have been a pro since 2000 and while unbeaten he hasn´t really gone anywhere in his career. Caramelito Promotions in Finland promote their biggest show yet in Vasa September 24. In the mainevent Janne Katajisto take on Petter Antman for the national and BBU heavyweight titles. Katajisto is 8-0-1 while Antman is 8-1-1 - however it´s Petter´s debut at heavyweight so he is up against it vs the Finnish Butterbean. Khoren Gevor headlines the annual show at the Theatre Carre in Amsterdam October 3. Gevor will apparently stay at supermiddle and take on German Bernard Donfack. In the chief support Spanish lightweight Nacho Mendoza takes on an opponent to be announced after Innocent Anyanwu pulled out with an injury. The Marcel Cerdan Heritage have now launched a modernized copy of the mythical boxing shoes worn by the late great middleweight champion. The new shoe have among other features a rose on it to memorize the champ´s friendship with Edith Piaf. Check out marcelcerdanheritage.com for more info. Sebastien Madani and Saul Roman clash for the vacant WBFed jr middle October 7 in Las Palmas. A Mexican vs a Frenchman on a Spanish island doesn´t seem to be a go but the fight is on. Belgian cruiser Ismael Abdoul didn´t get to fight Aleksander Alekseev this past weekend when the Russian pulled out with illness. Ismail will next headline a show at home in Gent September 30, Also on the bill is Danish welter Christian Bladt, who insists he´s ok despite the cut he picked up in his win over Alexey Volchan Saturday night. Bladt takes on dangerous puncher Sasha Yengoyan.